Connects coax heated clothing to a Powerlet® (or Powerlet type) socket. Works with BMW, KTM, Triumph, Victory and Ducati motorcycles equipped with a factory sockets. 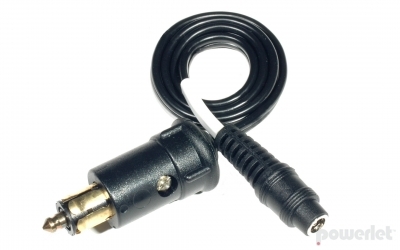 Works with Powerlet, Gerbing's, Warm & Safe and other brands of heated clothing with a standard coax connector. 10" long.